At the moment I am working on some projects, which are presented here in their current state of development. I have graduated from the Academy for Childrens Media, where I have been supported by my great mentor Armin Prediger. 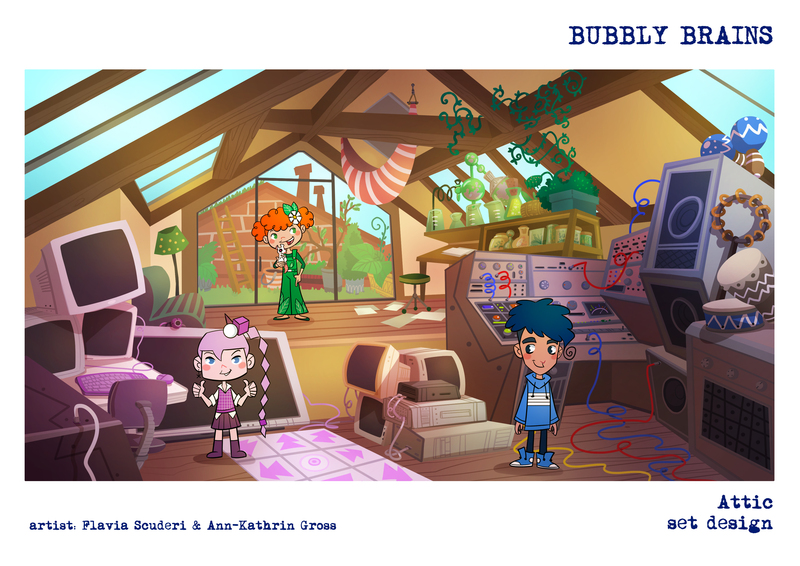 Now I have my animated TV series for children called „Bubbly Brains“ ready for selling! I also found my agent Julie Kane-Ritsch of Gotham Group L.A.
With the actress Sushila Sara Mai I am developing a fictional feature film with an autobiographical background, which will be telling the story of her adoption as an Indian orphan to Bavaria and above all her life-changing trip to her roots in India and especially to the orphanage of Mother Theresa. Right now we are writing the pitch and are going to start looking for a producer together.